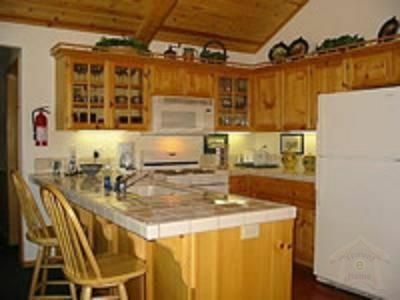 Beautiful and immaculate 3 BR Holiday Travel Ski Cabin with a secluded, sunny deck. 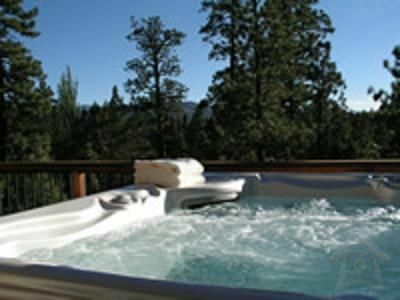 As you sit outside in the Jacuzzi you'll be amongst the treetops and gazing at either the snowy slopes or the starry skies. 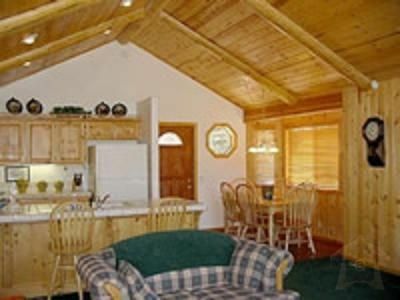 The Great Room sports a large river rock fireplace, dining room seating 6 and a kitchen with all the modern amenities, all under high vaulted, pine ceilings. 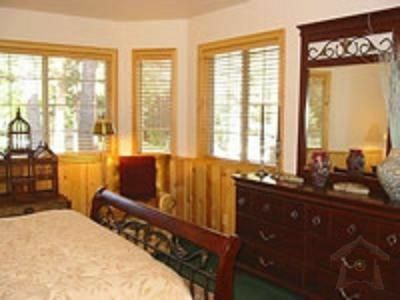 Sleeps up to 6 people in 3 spacious bedrooms. 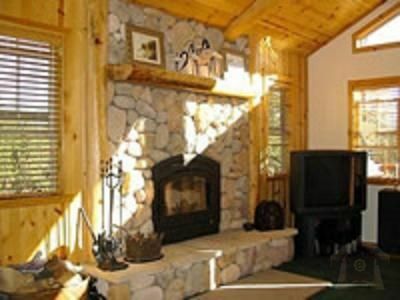 Master bedroom has a large, river rock gas fireplace and a Jacuzzi in the master bathroom. Two bathrooms. 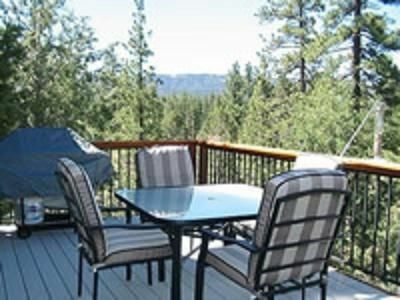 Close to hiking and biking and a mile and a half from the lake.